Are You Hearing This or Are You Just Listening Impaired? On Thursday I was fortunate enough to be in a room with 50 volunteers who were taking part in the National Volunteer Leadership symposium put on by the National Hospice and Palliative Care Organization via the web. Throughout the day, these volunteers were attentive, focused and (horrors) POSITIVE. Why, horrors? Staff these days are bankrupt of positivity. Everyone is overworked, everyone is stretched too thin, everyone would like to do more on the job, but can’t. It is the grim reality of the hospice industry and most likely of every organization out there. Complaining is the norm. Stress related time off from work is the norm. Passive-aggresive behavior is a coping mechanism. Cynicism rules. Whoa! Can you say that again? Can we tape you saying that? Another volunteer chimed in (without prompting, I swear), “you guys in the department really do a great job getting us information” to which there were nodded heads all over. The volunteers feel good about not only their jobs, but about how we are managing them. The morose feelings of being abused were lacking in this venue. The atmosphere was uplifting and positive and the comments were thoughtful and heartfelt. So, why am I frustrated? Did you hear that, Mr. Executive Director? No, did you REALLY hear that? 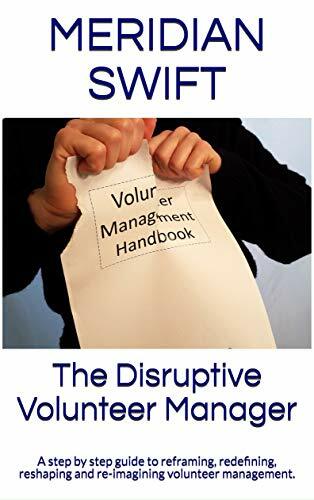 In a lot of ways, managing volunteers is akin to managing staff, although it’s in many ways harder. Instead of paying outside consultants, looking to some mythical “expert” in another state, or creating more focus groups that don’t include volunteers or volunteer managers, how about for once, looking internally at a program that has results? Is this too novel an idea, or is it that, once again, you heard the comments and have mentally patted us on the head? Are we professionals who are doing a very difficult job well, or are we just lucky? Is that how our upper management team view us? Why not ask us how we get those results? If you don’t like the answer, fine, but at least be just a teeny bit interested, ok? Maybe there is a nugget of wisdom in how we do what we do. Sigh. It’s hard living in a fantasy world, one in which volunteer managers are appreciated. And no, I don’t mean treated as though we are really good at the fluff. I mean true respect for the human resources professionals and management experts that we are. 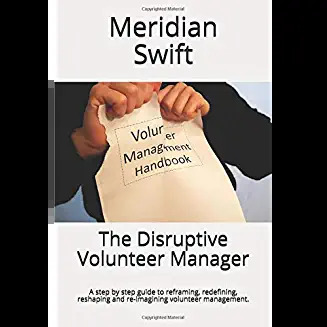 Thanks for highlighting the contradiction between volunteer satisfaction and organisation lack of understanding and appreciation of what managers do to maintain volunteer satisfaction. No! I should not be offering thanks! And though you acknowledge the stresses and grim realities of the hospice industry it is a sad indictment on a service devoted to caring for people at the end of life. I can actually hear this conversation going on, thanks so much for that audio! How many times do we have to explain the whys of our volunteers? why they are not manual labor, why they are not interested in sitting aimlessly, why they want a meaningful experience? Why they are not gumballs! LOL, are we protective mothers (fathers) or HR people or SuperVolunteer Manager (protecting the innocent) or just a compilation of all that?